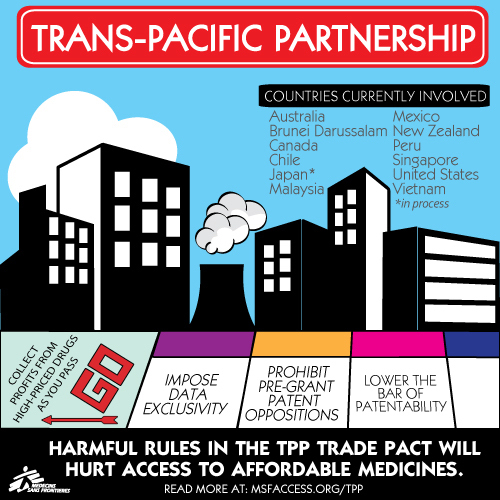 The TPP agreement has been signed. What happens next? Should we shrug our shoulders and give up? Absolutely not. Ratification is down the road – possibly 2 years away. There continues to be loud opposition. Business leaders including Jim Balsillie, co-founder of Blackberry, have been highly critical of the Intellectual Property Provisions while many organizations warn of the serious impacts on access to affordable life-saving medicines.